Accustomed to salted herring, we completely forgot about the fact that the dishes prepared from fresh fish, not inferior to it for its taste. Fresh herring can be put out with vegetables, roast and bake. To prepare the herring in mustard sauce clean 6 carcases fresh fish from viscera and scales, cut into pieces of medium size. In a pan melt 50 grams of butter, and one of the two plates, pour 200 grams of cold milk and dissolve in a teaspoon of salt. On a second plate pour 200 grams of flour. Pieces of herring soak in milk and then dip in flour and saute in pan on medium heat on both sides. Prepared fish lay on a dish, in the pan where it was cooked, prepare the sauce. To do this, melt 60 grams of butter, add two tablespoons of flour and lightly brown, constantly breaking up clumps of flour. Pour 400 grams of water, sunflower to taste and add 1 teaspoon of mustard and the juice of half a lemon. Bring the sauce to a boil, stir well and pour over the fish. Put out a herring with vegetables. This 4 fresh fish clean and remove the insides. Rinse and have into serving pieces. Four medium sized carrots grate on a coarse grater and cut into half rings one large onion. On a heated pan pour 50 grams of refined sunflower oil and extinguish in it the vegetables until soft. Cover the bottom of utyatnitsu foil and alternate layers of fish and vegetables, prisypaya them with salt and pepper. Then pour in 100 grams of hot water, cover and place the roaster on fire. Simmer on low heat for an hour. To bake fish in the oven, peel and cut into small pieces 5 large mushrooms. Chop one onion, greenery of parsley and chop the cubes of one boiled egg. All these ingredients mix. Two fish carcasses of medium size gut, and nafarshiruyte with the prepared stuffing. Mix 50 grams of softened butter with one tablespoon of horseradish and spread the mixture on 2 sheet of foil. Put one fish carcass on each sheet, close tightly and place on a baking sheet. Bake for about 25 minutes at a temperature of 200oC. 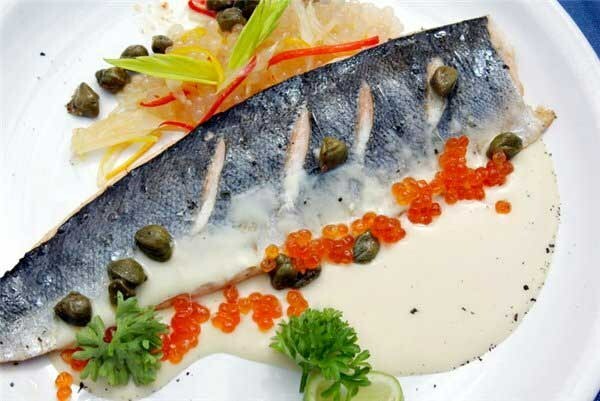 Herring is an inexpensive and tasty fish from which you can prepare many dishes. Herring, make salads, bake it, cook with it, sandwiches and fillings for savoury pancakes. Wash and clean the fish, squeeze of lemon juice, mix it with salt and pepper. This juice RUB the fish inside and out. Onions and carrots cut into thin strips, garlic pass through chesnokodavku. Connect the vegetables with a small amount of sour cream and well-washed raisins. Stuff this mixture in the fish, then put it in the sleeve and send it in the oven. Herring bake at 180oC for 30 minutes. 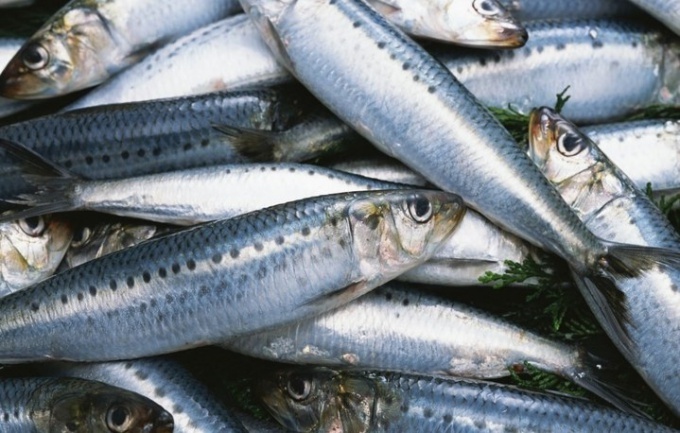 Herring fillet cut into small cubes, onions chop thin half-rings, translucent lemon slices and thin Apple strips. Walnut kernels break into pieces, just try not to turn them into crumbs. All components of the salad but the lemon, combine in one Cup, salt to taste. Sour cream mix with lemon juice and pour this sauce salad and gently stir. Put the finished dish on a flat salad bowl and decorate the edges with slices of lemon. Herring peel and cut into small slices, lay them on the bottom of the Cup. Tomatoes cut into slices of medium size, cucumber slices, onion cut into thin rings and pepper strips. Put the vegetables in a salad bowl with the fish, sprinkle with chopped parsley, salt, pepper and cover with oil. Herring salad, gently stir and serve. Herring fillets can be filled with Apple sauce and sour cream, it gives the fish original flavor. To make the sauce, grate on a fine grater big sour Apple and connect it with sour cream. Add to this mix a little sugar and a few grains of salt, mix well and allow to stand for 10-15 minutes. Ready sauce fill with cut into small pieces the fish.